Unemployment has hit the country badly and it is the time when the government take sharp movements on it. After finally achieving the goal of providing electricity to all the villages of India, the government is up with totally eradicating unemployment from the country. With more than a lakh of job opportunities in 2018, the Indian government is on its way. 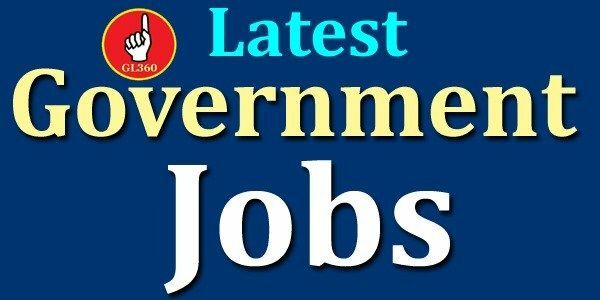 Government jobs in India are available for the following fields. All these fields require a huge amount of candidates to keep their daily working going on. Every other individual of India can opt for the job opportunity because no such great minimum requirement for the job is there. The minimum qualification that an individual should have is a 8th pass qualification. However, for senior posts one should have qualification like 10th pass, 12th pass, diploma, bachelor course (BBA, B.Com and others), professional course (M.Com, MBA and others). Other higher qualifications are also appreciated and well accepted. Each post has its own minimum requirement which should be met by the candidate. Once the qualification has been met, the candidate gets his/her admit card using which he/she gets to enter the examination hall. One should carry his/her colour photograph along with the admit card. Apart from it, ID proof is necessary to carry to the examination centre. The ID proof is being tallied with the admit card and the photograph. The admit card contains certain personal details about the candidates like his/her name, signature, photograph, date of birth, father’s name. Other important details like the examination centre, reporting time and date, registration ID are also present in it. Most importantly the instructions mentioned in the admit card are to be followed strictly by all the individuals appearing for the examination. None of the instructions should be violated as it may lead to cancellation of your paper. However, if you find any mistake in your admit card, you should call the helpline number of the department conducting the examination immediately. You can find the helpline number on the official website of the department. The helpline number would be available from Monday to Friday exclusively. Saturday, Sunday and other government approved holidays can be a trouble for you. The time between which the helpline number will be available can be found on the website itself. Talking about the latest government jobs, it would definitely be a tough competition for you. Around more than a million of candidates are going to appear for the examination. Make sure, you are well prepared for the examination. In some of the departments, the examination would be divided into 3 tiers and an individual needs to complete all of the three in order to get a call letter. A separate admit card is provided for every tier/phase. Feel free to mention your problems; we will reach it out as soon as possible.